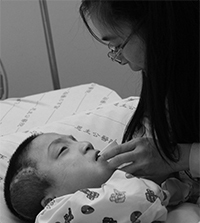 In Taiwan, the respective family members always carry the work taking care of the disabled. However, our society has been widely ignoring the dedication and contribution they have made. With regard to the long time ignorance and indifference to the family caregivers, a group of scholars, experts and professionals caring about the family caregivers has built the TAFC (Taiwan Association of Family Caregives) on 1996/6/23.